Margo Hall, left, owns The Bra Spa. Mary Marchetti owns Breathe Easy Automotive. Selina Barajas owns Mi Reina Mobile Boutique. Margo Hall, the owner of The Bra Spa, gestures toward inventory that fits larger busts. Audra White, left, poses with owner and manager Mary Marchetti in front of Breathe Easy Automotive. White runs the desk and manages the shop's marketing. Selina Barajas with her two daughters in front of Mi Reina Mobile Boutique. 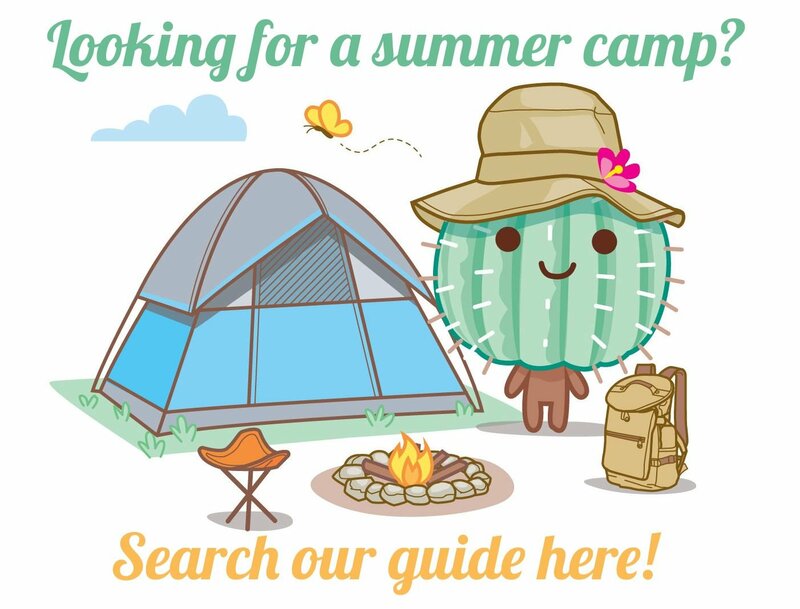 This story was produced by #ThisIsTucson and underwritten by Girl Scouts of Southern Arizona, helping power amazing experiences and adventures for girls with delicious Girl Scout cookies. 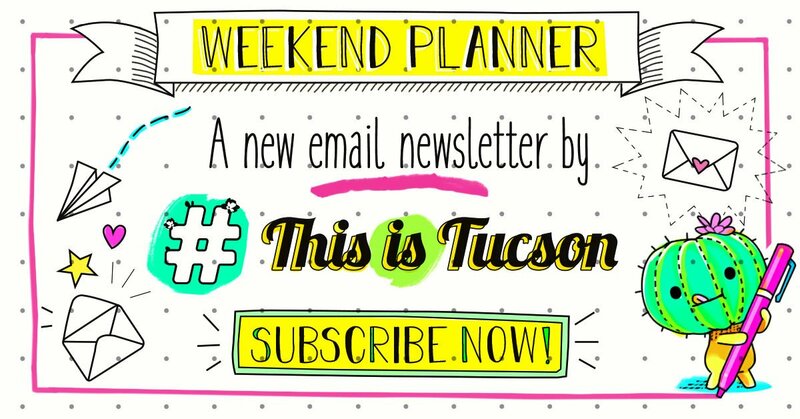 We are all about it when Tucson women solve problems and start businesses. 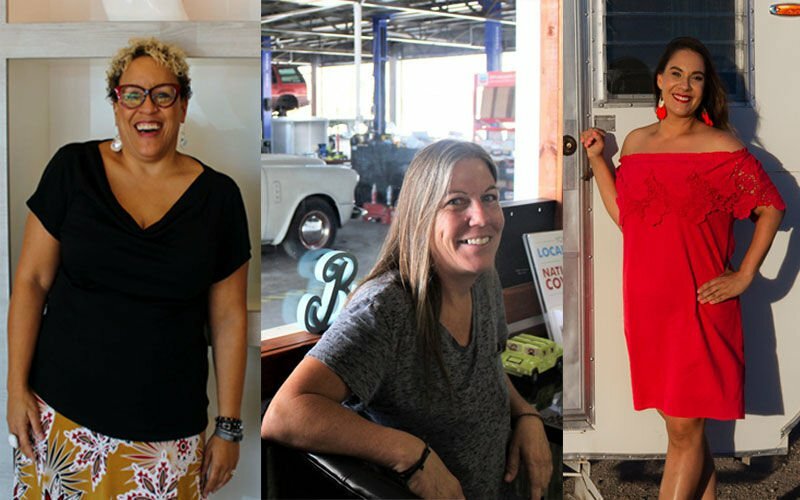 Actually, we have a gigantic list of Tucson businesses owned by local ladies. Although the stories behind the startups vary, one thing seems consistent: These are women who saw a need and figured out to meet it. Which benefits all of us. Mary Marchetti, for example, is the 52-year-old owner of Breathe Easy Automotive, along with her friend Deirdre Margolias. The women opened the auto repair shop at 331 W. Adams St. following their frustration with shops they felt took advantage of women. Margo Hall, 53, opened The Bra Spa, 6544 E. Tanque Verde Road, after 20 years as a legal administrator. She wanted to make it easier to find a bra with the right fit — especially for those who need size triple D and beyond. And then there's Selina Barajas, a 34-year-old mom of two who opened Mi Reina Mobile Boutique to make it easier for women to shop with kids. Having a baby made shopping frustrating and isolating for her, so she wanted to save other women the trouble. Meet these three problem-solving entrepreneurs. Editor's note: These answers have been edited for length and clarity. Tell us about your business. We do all phases of automotive repair. That is the technical purpose of our business, however, the ultimate purpose is to be a positive force in the community by offering well-paying jobs as well as being available to help those struggling financially to also keep their vehicles in good working order. Where did the idea for your business come from? My mind is always looking for business opportunities, but this one came out of the blue basically. I was hired to work on and get ready to lease a property that included an empty, good-sized auto shop. The more I was in the building working, the more I could see the potential. I was also frustrated at that time with the repairs I was having done on my trucks and not knowing if I was being taken advantage of ... So I finally did some research and crunched some numbers to see if opening an auto shop was viable. Once I was convinced it was a good move for me, I contacted a longtime friend to ask her to partner with me in the shop, and the two of us opened the auto shop together. What advice do you have for other women or girls interested in starting their own business? Go for it! If an idea comes to you or you see an opportunity, do research into every aspect of what you want to see happen. If after due diligence, your idea or opportunity still looks good, then dive in and do it. Being in business requires many different skills. The biggest is being able to be adaptable to new situations or problems and being creative in moving forward and solving issues that may arise. The biggest thing is don't stop moving — in life or business — just keep moving forward and don't give up on dreams, even if it takes many tries to achieve them. And always remember that in the end, people matter more than money, no matter what business or venture you undertake. Tell us about your business. We are passionate about helping women find bras that fit, support and are comfortable. Where did the idea for your business come from? My challenges having trouble finding bras that fit. What advice do you have for other women or girls interested in starting their own business? Follow your dream, but PLAN in advance. Tell us about your business. Mi Reina Mobile Boutique, LLC is the most unique and innovative way to shop for clothes and accessories in Tucson and Southern Arizona. “Mi Reina” is a fully renovated vintage trailer that offers more than fashion. Mi Reina’s goal is to make every person who visits the 1961 Siesta Liner and 1957 Chevy truck leave feeling like a queen ... radiant, comfortable and accepted how they are. I want each person to feel more beautiful and powerful as they dress for their day, taking on a multitude roles, including those of students, bosses, caregivers and overall magicians. ... Throughout the year, we host events and pop-ups that highlight other small (women-owned) businesses and believe in the power of bringing people together, especially on the south side of town. We like to invest in Tucson’s south side because this is the area that helped raise me, and it's where my grandparents and great grandparents raised their families. ... We like to bring Mi Reina Mobile Boutique into neighborhoods that do not have local clothing boutiques to build community and hold space while supporting the local economy. There is so much value and beauty in bringing the community together in a positive light because this will ultimately contribute to making Tucson a vibrant place to be, especially for future generations. Since I can remember, my nana Erlinda Gallego used to call me “Mi Reina.” She called all the special women and granddaughters in her life “mi reina,” an enduring title that filled me with confidence and inner beauty from a young age and that I still carry with me today as an adult. We decided to name our mobile boutique “Mi Reina” to pay homage to my grandmother and to carry on her legacy to my daughters, Sofia Luna and Mia Sol. I want women to visit Mi Reina and feel like they can have the opportunity to share who they are and be able to express themselves through fashion. If women cannot make one of our events, Mi Reina will go directly to them, especially those who are dealing with postpartum, depression and anxiety or just want to try something innovative. Now, as a mother of two girls, I want to leave behind a strong, positive impression. ... We do this #forthereinas! What advice do you have for other women or girls interested in starting their own business? Believe in yourself. Don't pay attention to the "haters" and others who criticize or critique your dream of owning your own business. Be prepared for people to laugh or say it cannot be done. Starting a business can be lonely sometimes because YOU are in control of your destination. However, at the same time find a group or at least one person who uplifts your business. ... The support is great and will help you during the days when you doubt yourself but ultimately you have to love what YOU are doing. You have to wake up with a purpose, a bigger picture, and fall asleep with a goal of how to get there. One other piece of advice: Take time for yourself. Self care and self love are so important. Take time to reflect and celebrate your small and big victories and milestones. Document those moments and revisit them when you need motivation. Because of those moments, you are inspiring others and you may never even know it. We believe in you, too. Got a future entrepreneur? Here's how your girl can get started? The Young Entrepreneurs Academy in Tucson helps middle and high school students transform ideas into real, legal businesses. Classes meet October through March, so you can sign your entrepreneur up starting in the summer. Last year, tuition was $949, but scholarships are available. For more information, visit tucsonhispanicchamber.org/young-entrepreneurs-academy. The Pima County Public Library hosts regular "Want to Start Your Own Business?" workshops for free at the Joel D. Valdez Main Library downtown, 101 N. Stone Ave. These workshops aren't specifically geared toward kids and teens, so you might want to tag along. Go here for more information. Take your kiddo to Startup Coffee next time they're on break. The Wednesday morning talk at Connect Coworking, 33 S. Fifth Ave., showcases local entrepreneurs and what they're doing to launch and grow their own businesses. The talks are free and coffee is provided. Visit startuptucson.org/startup-coffee for more information. Cookie season is here and when you buy a box of delicious Girl Scout Cookies, you help power new, unique, and amazing experiences for every awesome girl in your community who sells these purpose-filled treats — SWEET! The proceeds stay local and are reinvested in girls. Find cookies here. Meet these three Tucson artists. The shop opened in April. It's all about connecting women and building community. The Bra Spa especially serves women who need a larger bra size. Breathe in that delicious fresh air.